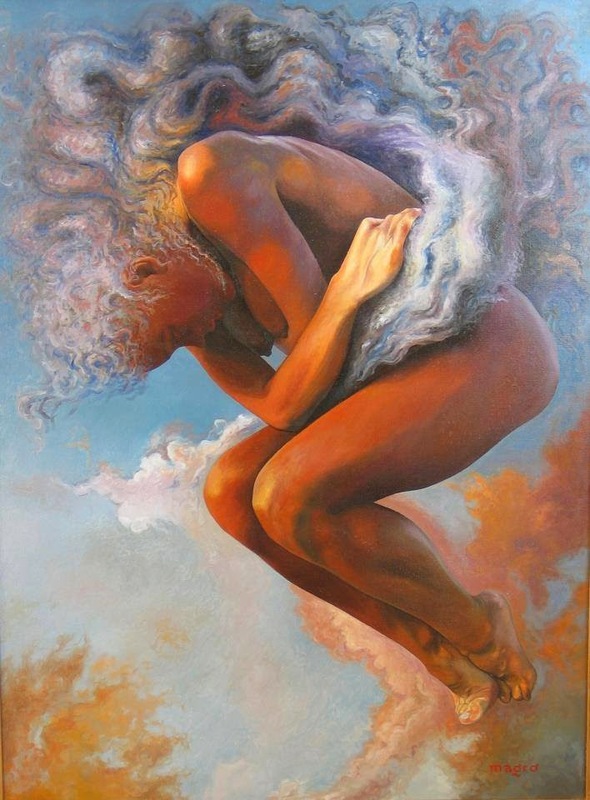 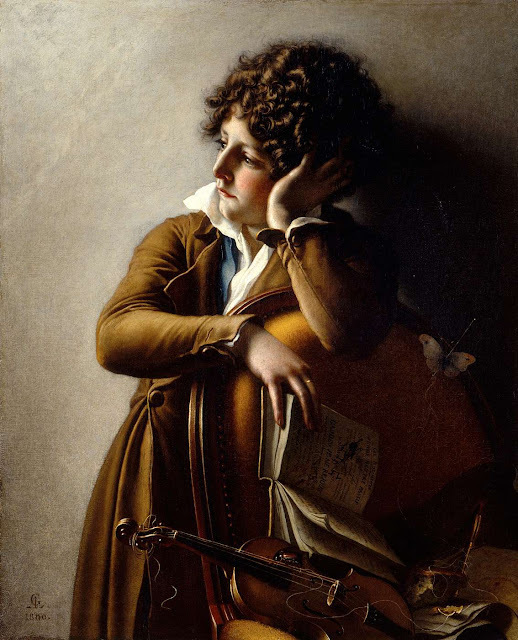 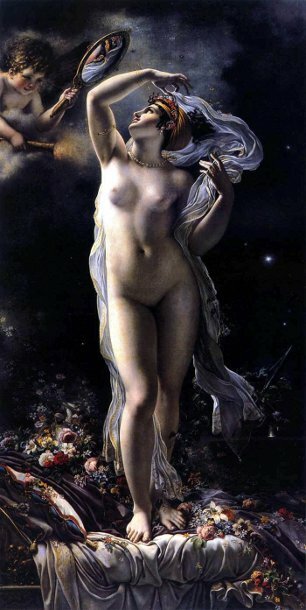 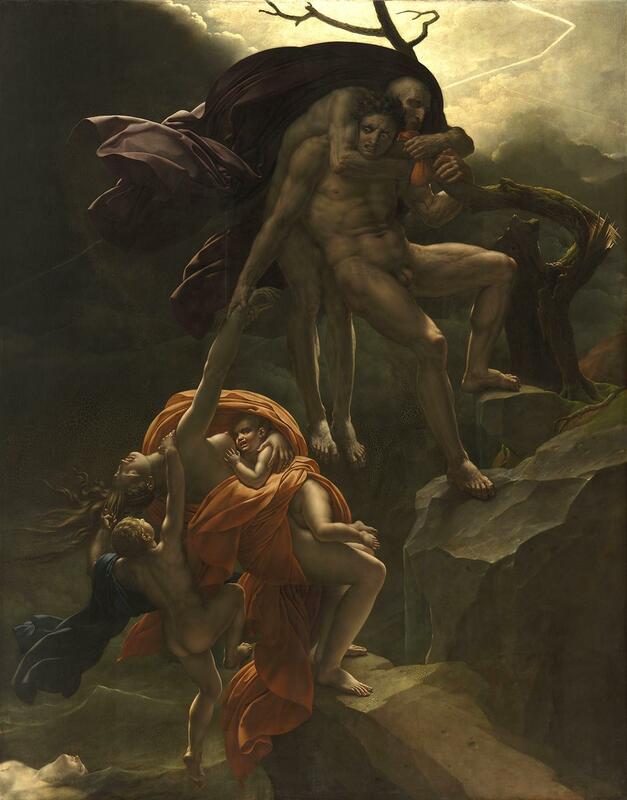 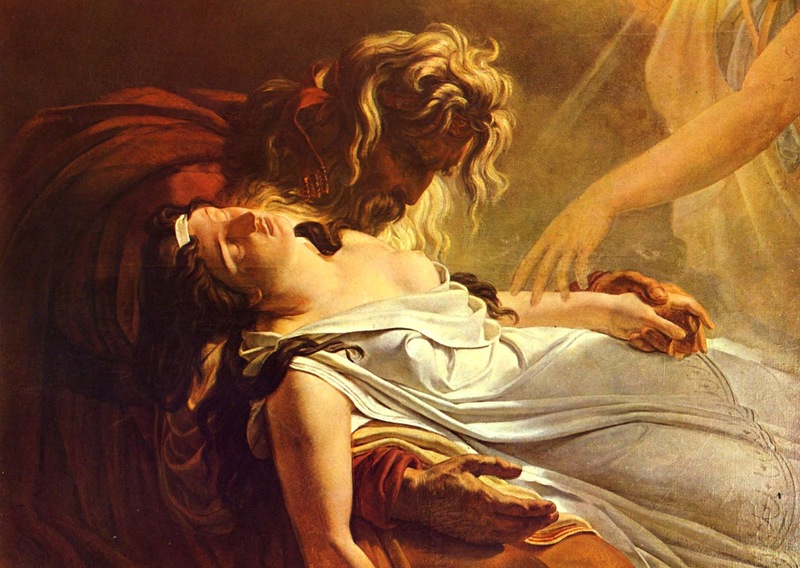 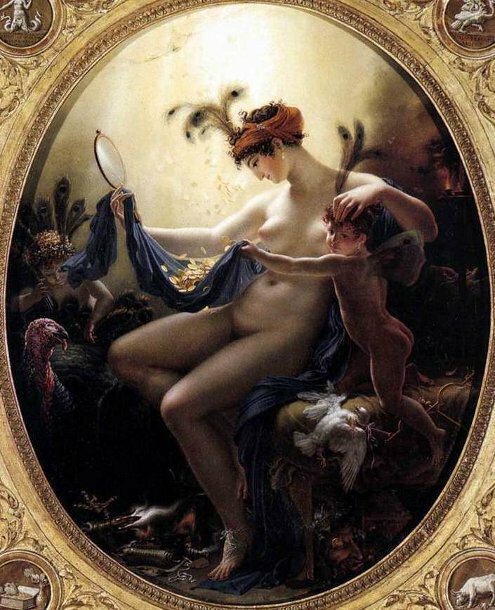 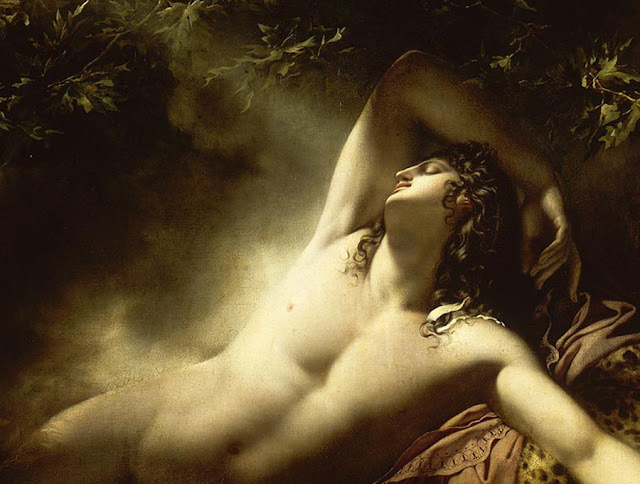 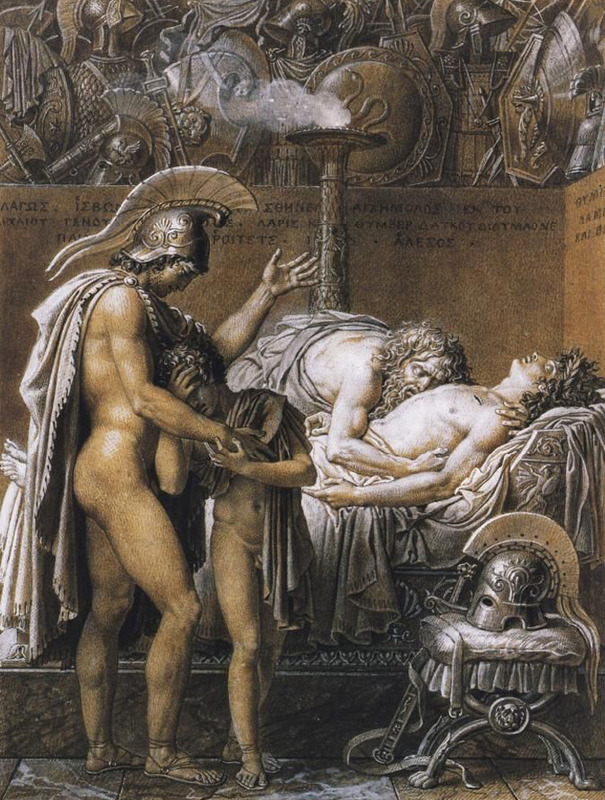 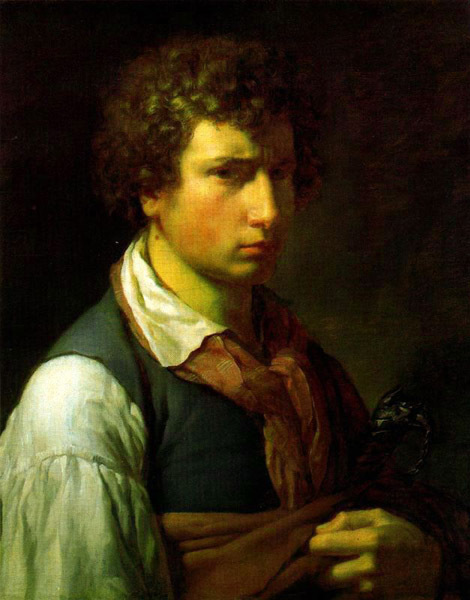 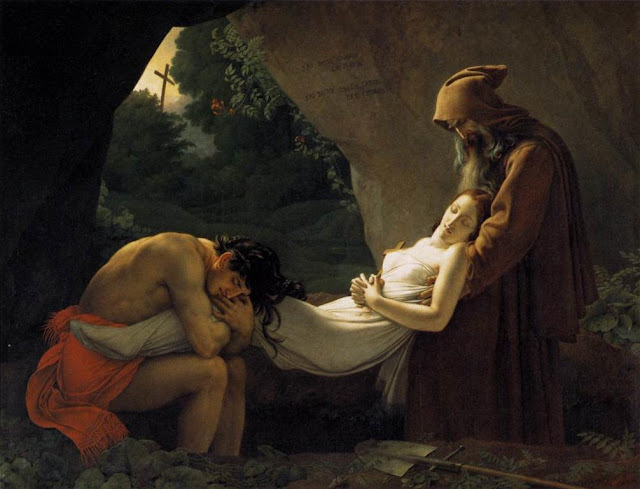 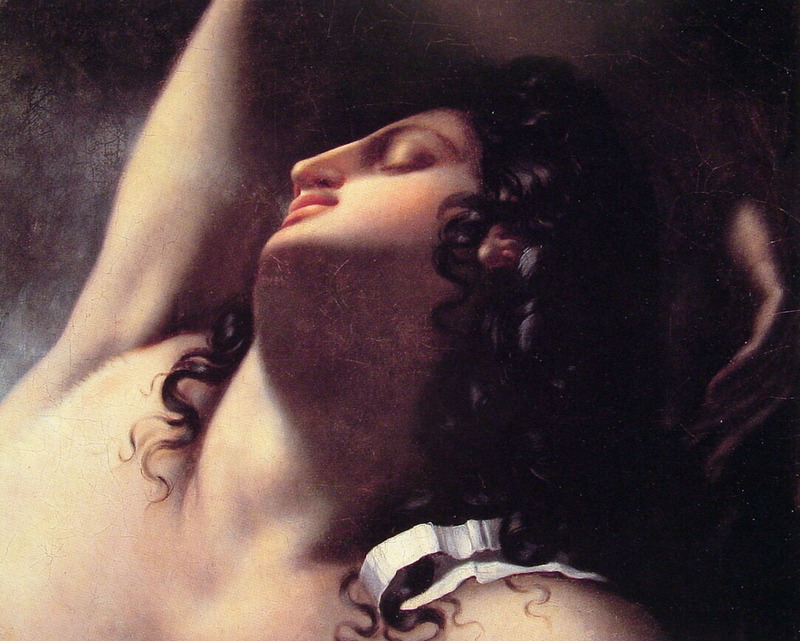 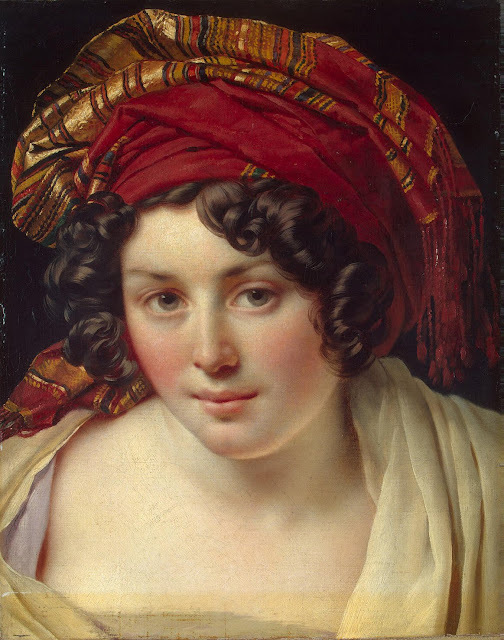 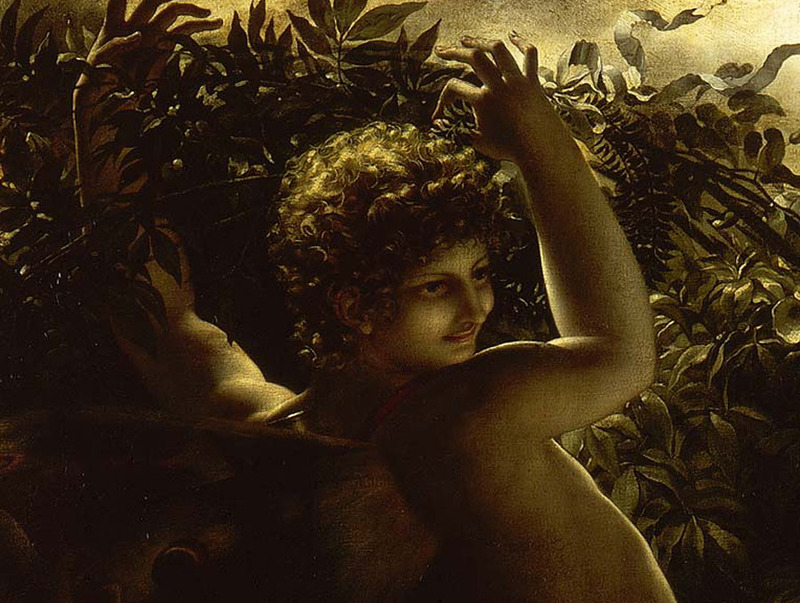 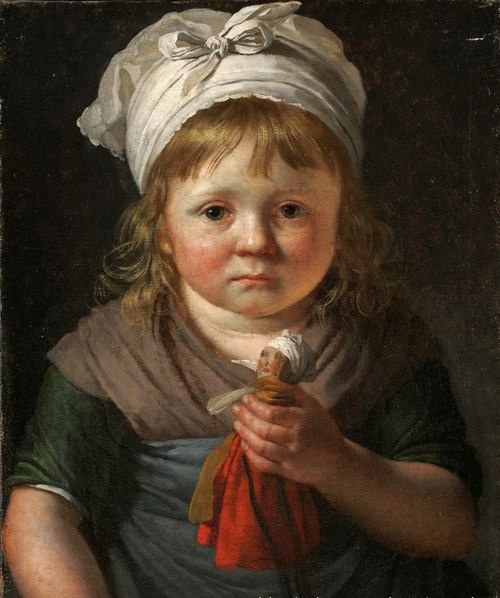 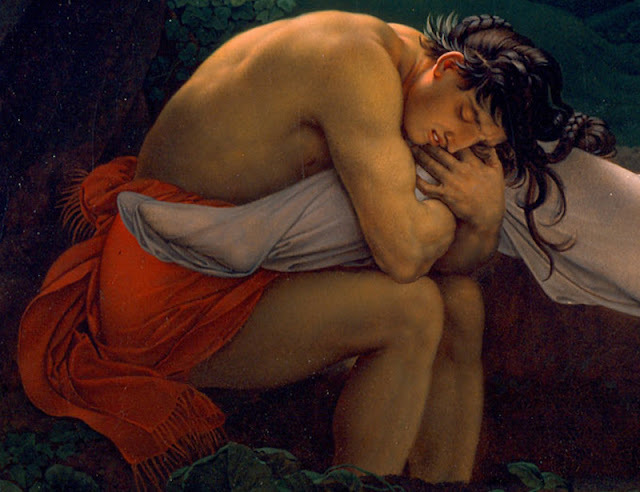 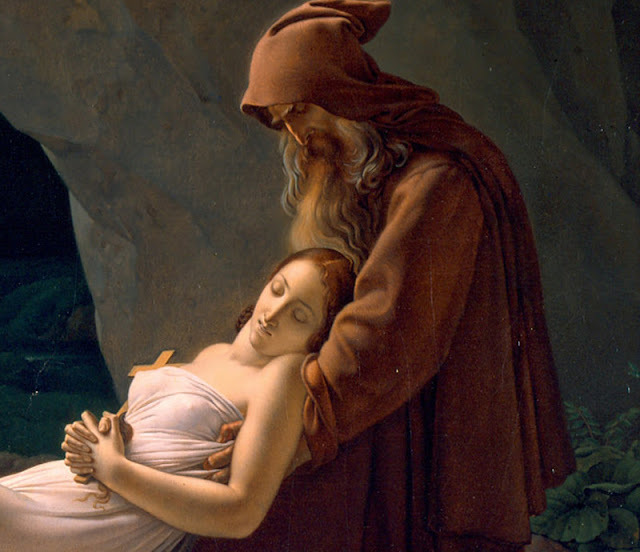 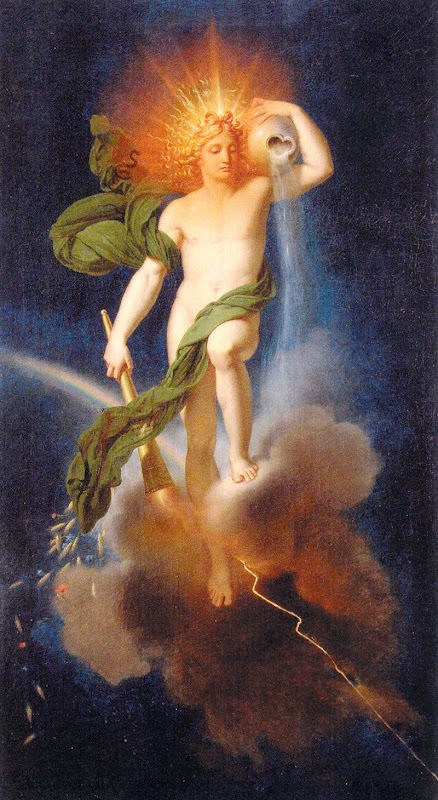 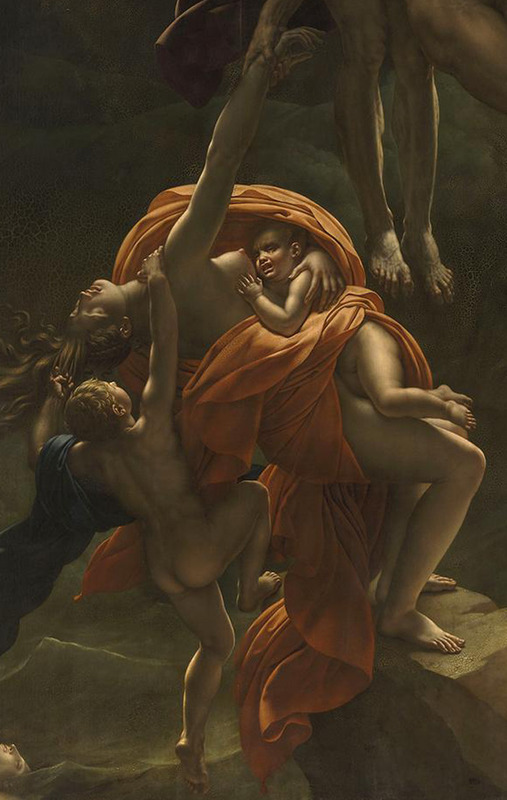 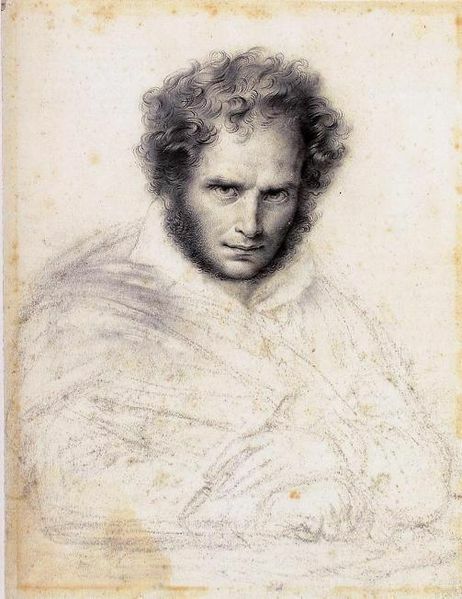 Anne-Louis Girodet de Roucy-Triosson also known as Anne-Louis Girodet-Trioson. 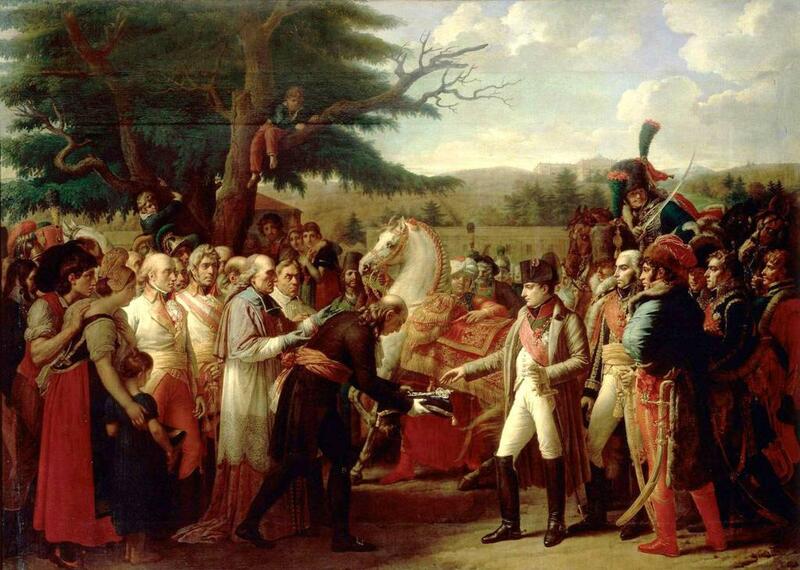 (1767, Montargis, France – 1824, Paris, France). 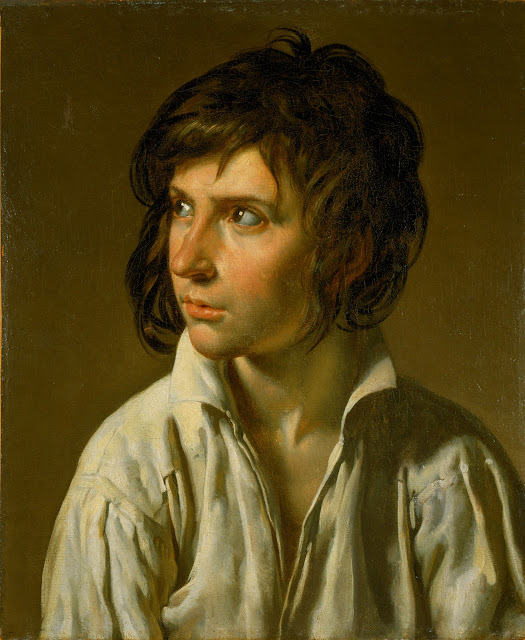 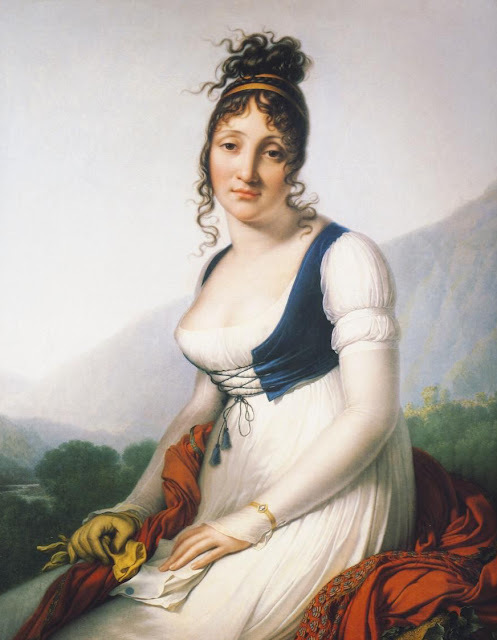 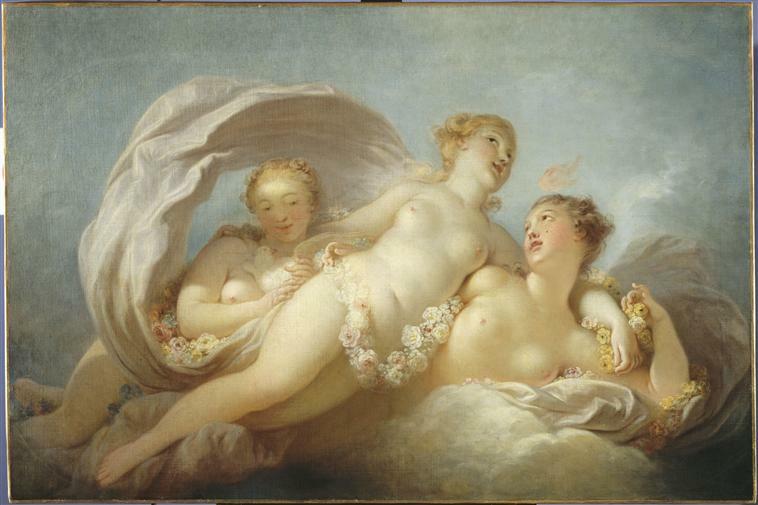 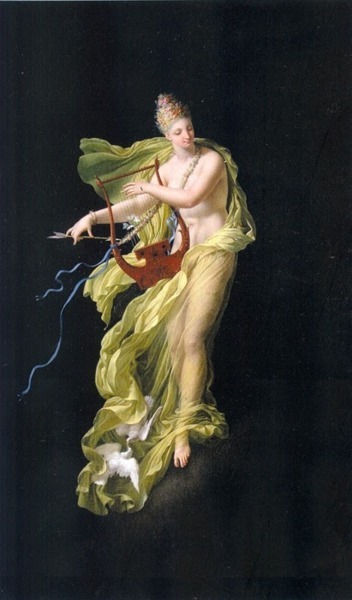 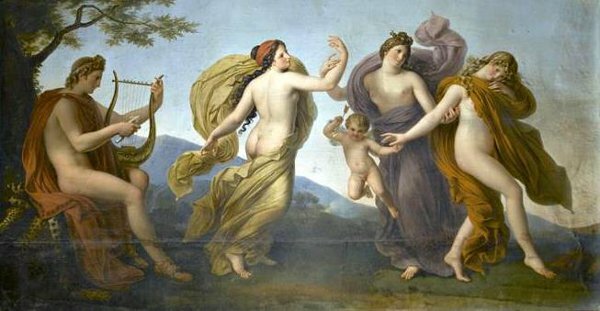 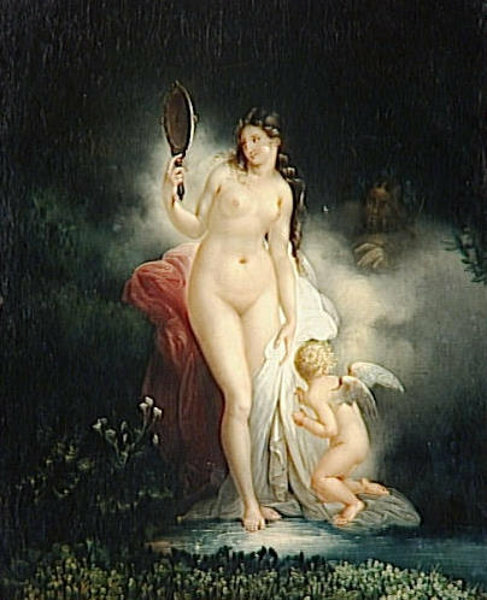 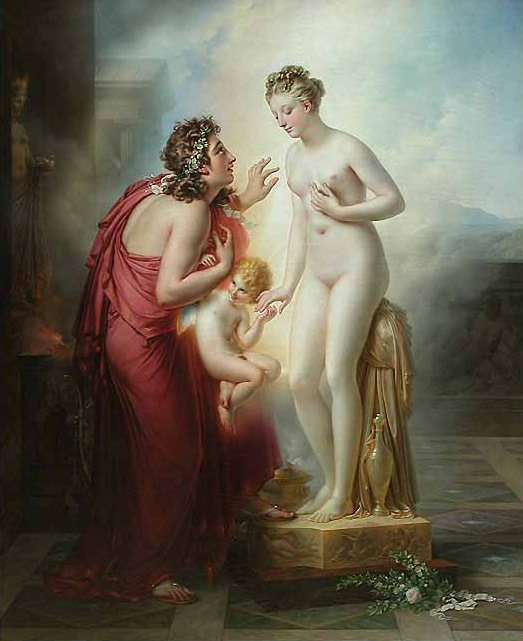 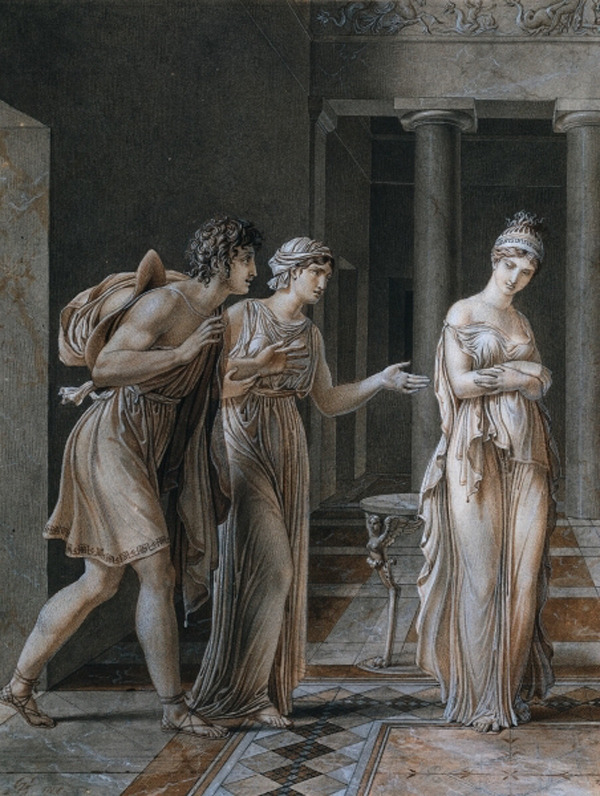 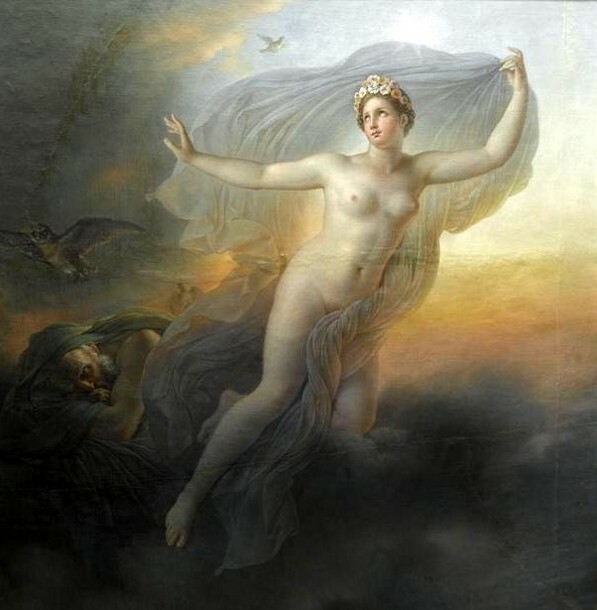 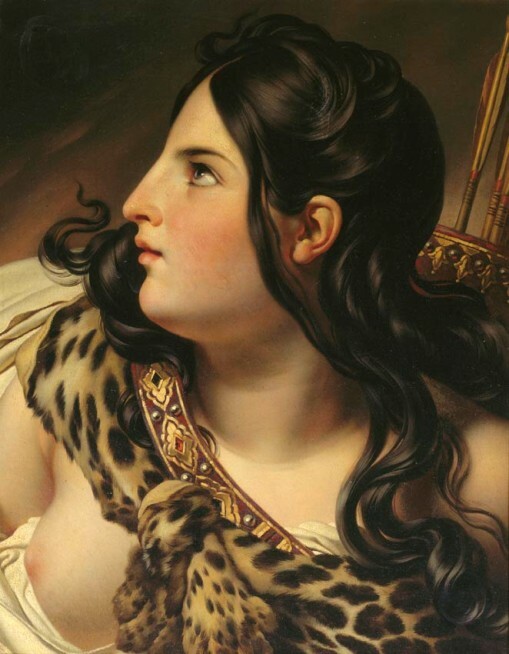 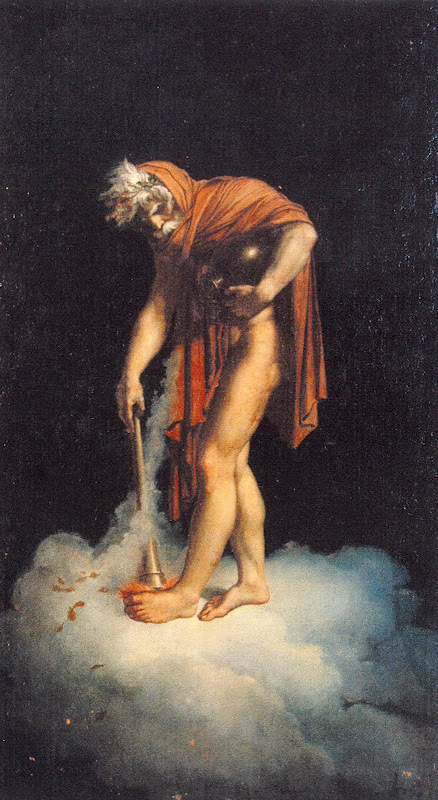 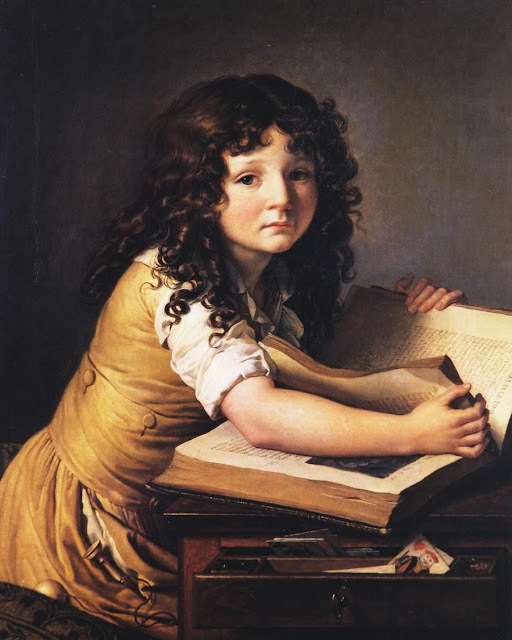 French painter, pupil of Jacques-Louis David, who was part of the beginning of the Romantic movement by adding elements of eroticism through his paintings. 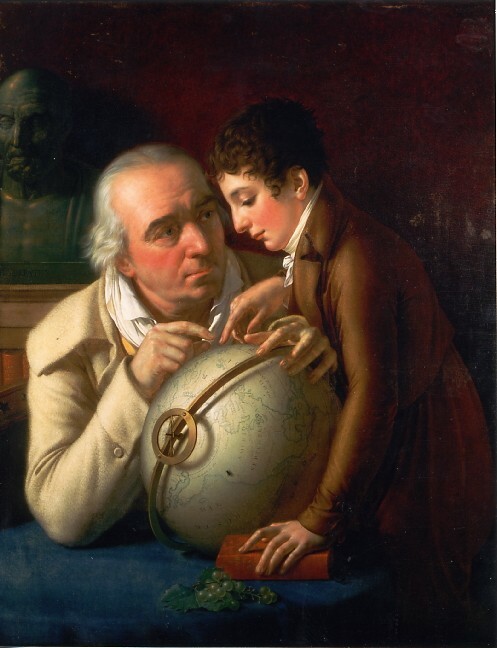 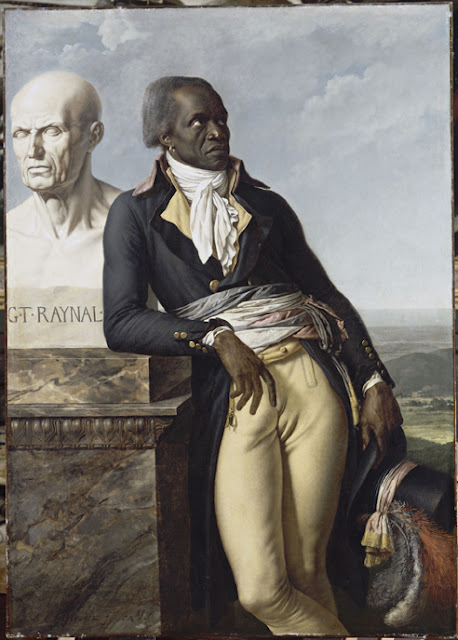 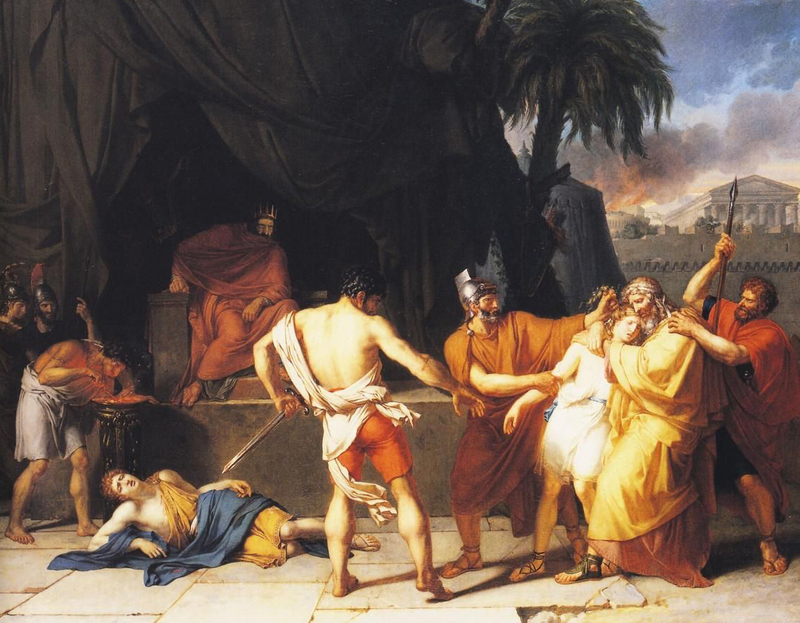 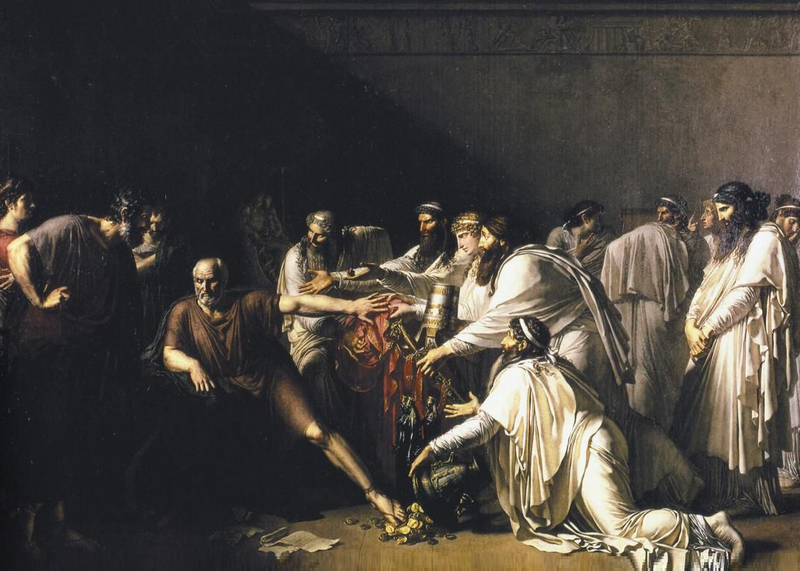 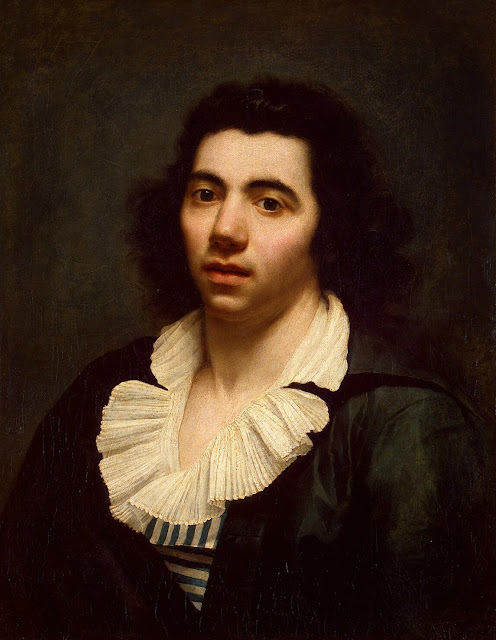 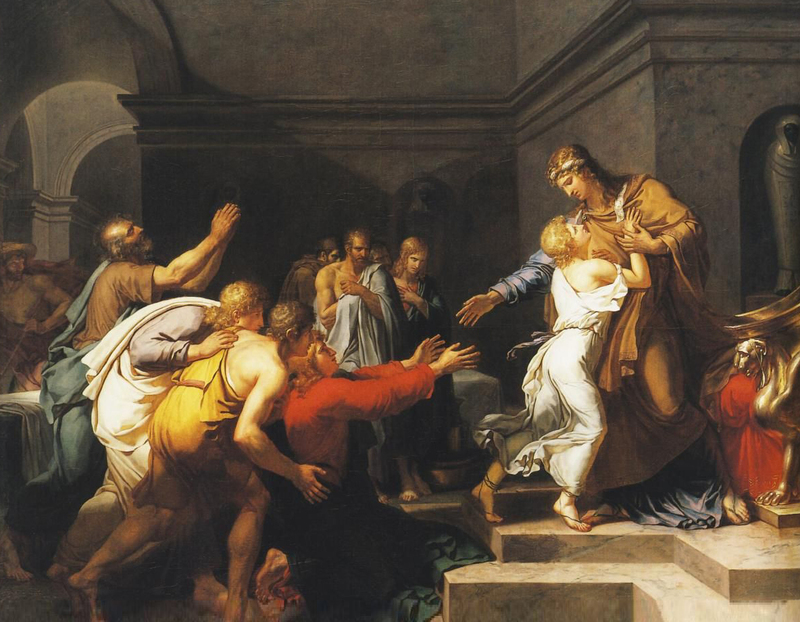 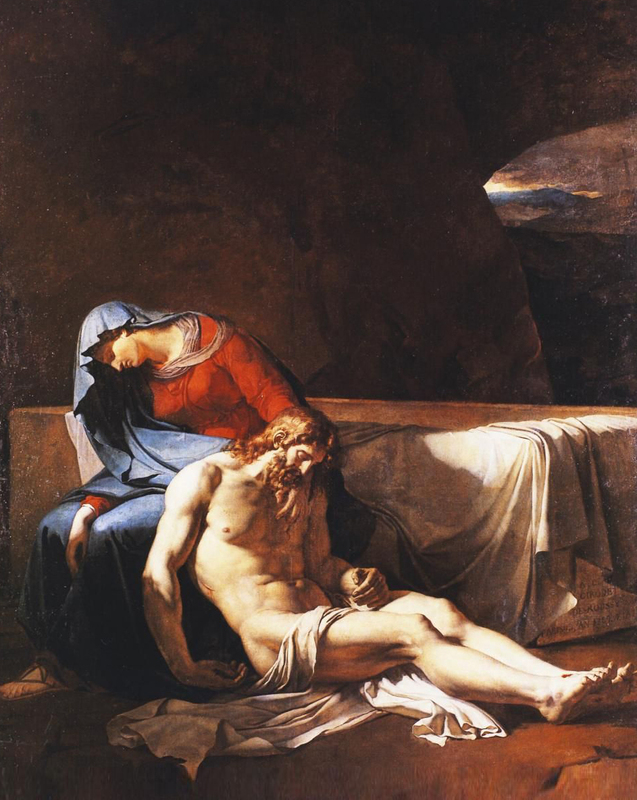 From 1789 to 1793 he lived in Italy where he successfully competed for the Prix de Rome thus making a name for himself for his painting of the Story of Joseph and his Brethren. 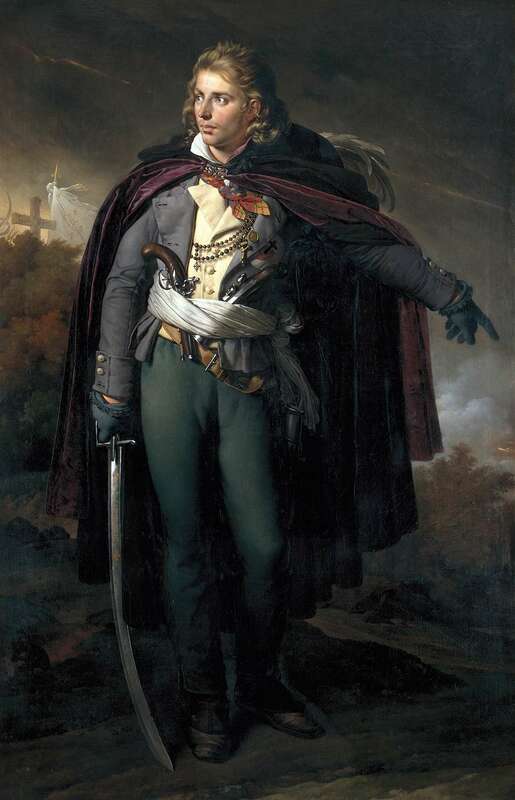 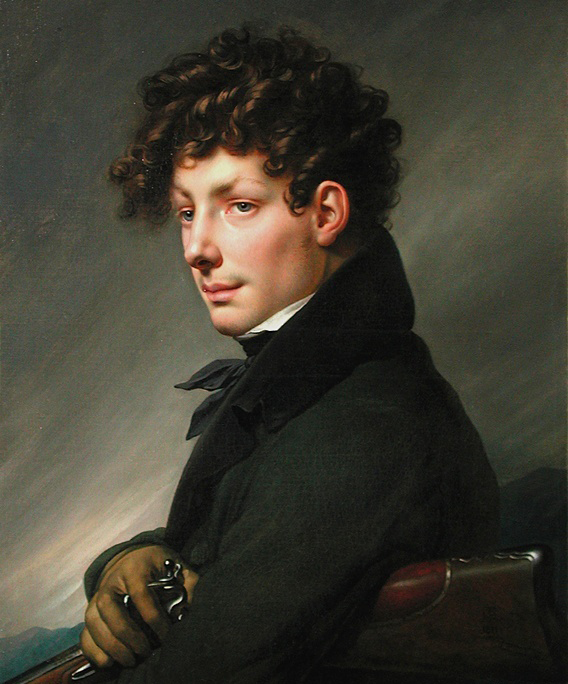 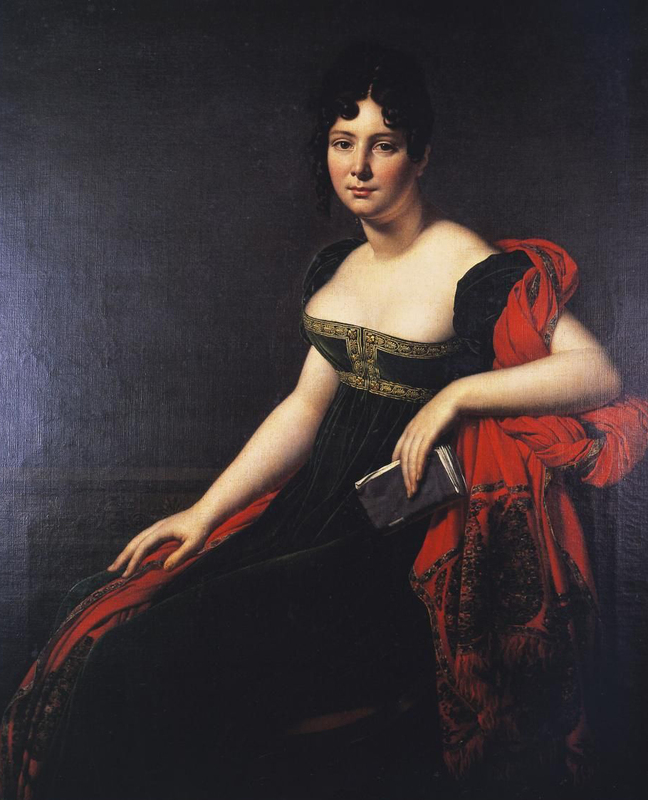 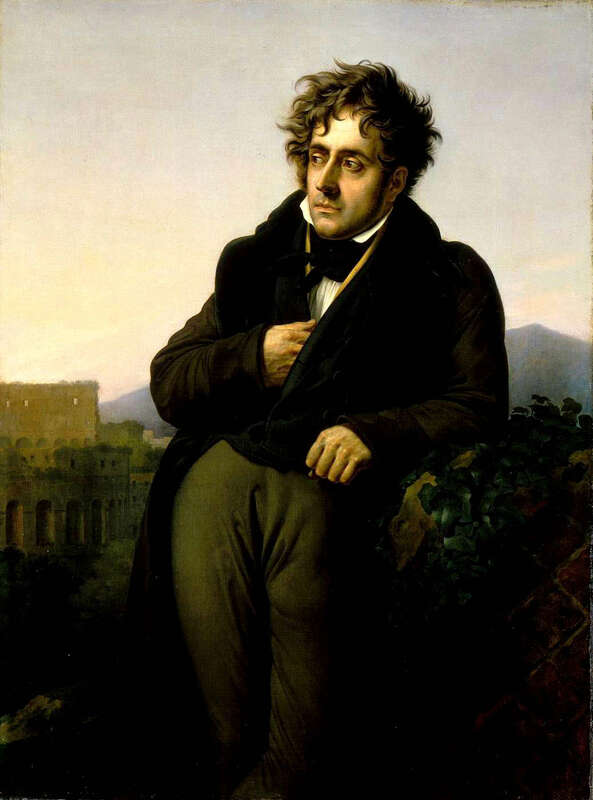 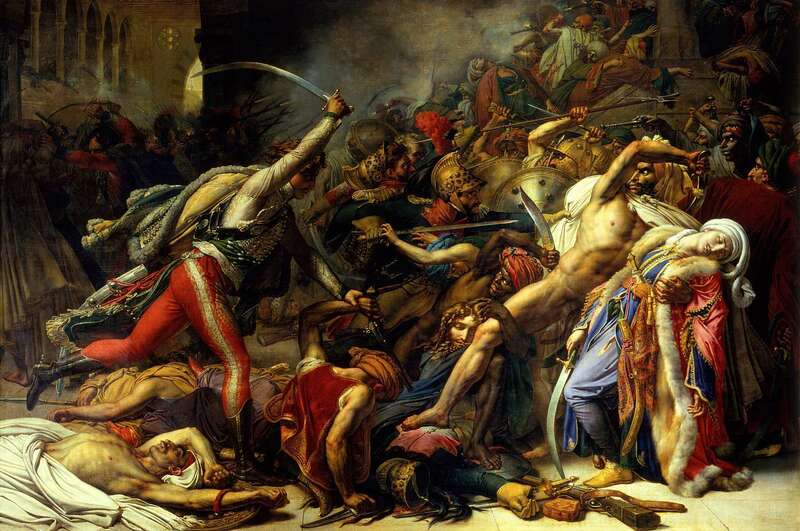 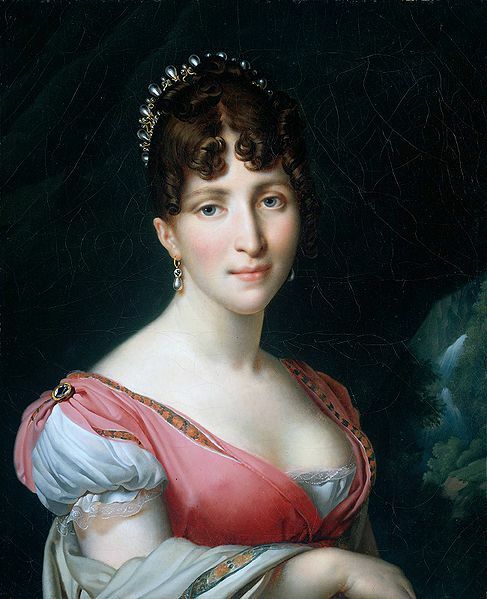 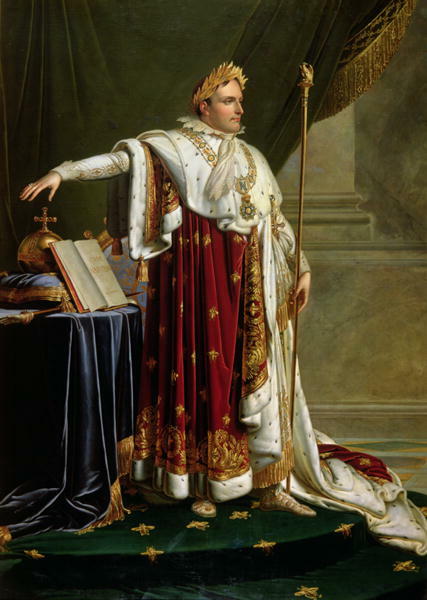 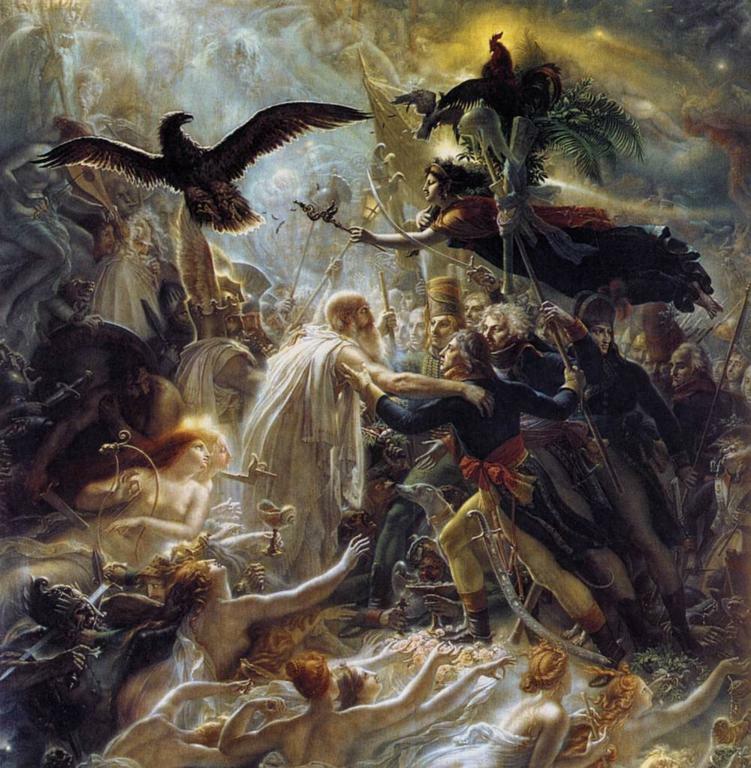 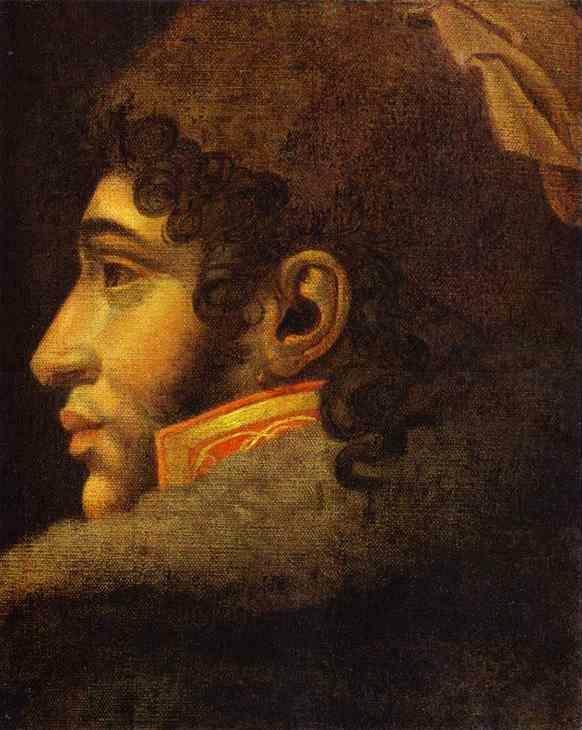 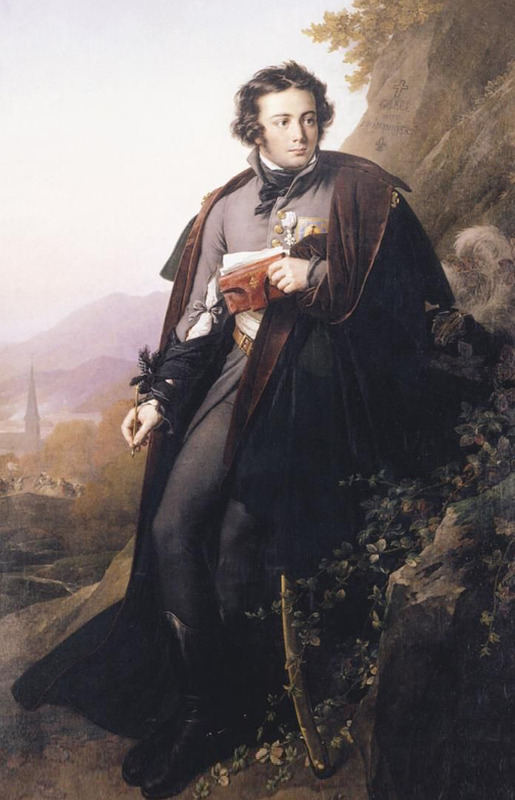 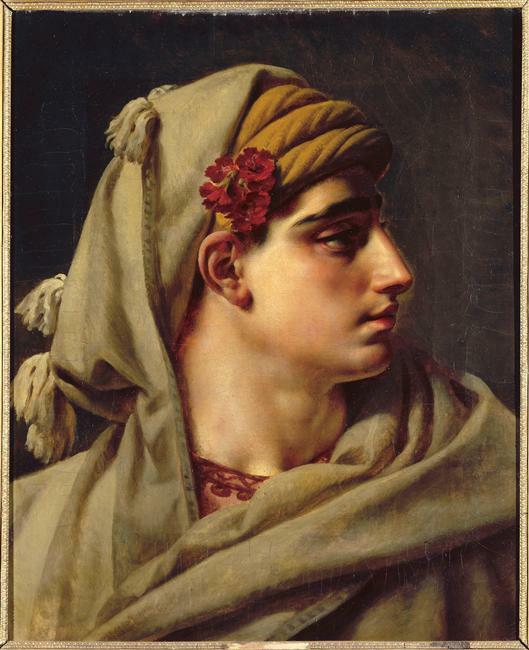 Back in France, Girodet painted many portraits, including some of the members of the Napoléon family.